In the 3.5 years following the 2015 General Election, the callous Granger-led cabal has absolutely reversed the upward positive trajectory Guyana achieved under the People’s Progressive Party/Civic. The APNU/AFC coalition essentially torpedoed one of the most dynamic and progressive regional economies, through unbelievable levels of incompetence, selfish and fraudulent maladministration. Unashamed by their consistent endemic failures, their pursuit of individual aggrandisement and enrichment of the selected few in Government continues to overwhelm unchartered. They have inflicted massive burdens on the majority of citizens, while syphoning off for individual gains at the expenses of our current and future generations. The Guyanese people at home and abroad have objected and rejected the pretence of this diabolical Granger Clan, whose falsehood has been ruthlessly exposed. Now, even as the world watches, there is no longer any attempt to camouflage their true colours and unenviable tainted character. Their openly undemocratic power-grabbing behaviours now drive a constitutional crisis which threatens the earned freedoms of citizens and international de-recognition. Opposition Leader Dr Bharrat Jagdeo, Presidential Candidate Irfaan Ali and the PPP/C team, have rolled out a necessary, timely and master-strategic intervention in the interest of all Guyanese. The justified debated and carried No-Confidence motion certainly caught the haughty leaders of the fallen coalition Government with their pants down engaging in shameless, fraudulent and dirty games. They are now playing for time while showing flagrant disregard for the Constitution, as they attempt to buy citizens’ loyalty. 1. The public acceptance of the ruling of Speaker Dr Barton Scotland on the No-Confidence Motion (NCM) by both Mr Granger and Prime Minister Moses Nagamootoo, and the subsequent actions to reverse the position. 2. The indication that the Government will be accepting the rule of the Court; a hearing of the challenge brought by them on the NCM, and the subsequent appeal after the ruling. 3. The failure of Mr Granger to give due diligence to the necessary constitutional actions following the legitimate process being followed. The APNU/AFC has been clutching at straws after 3 years of exercising vendetta, wrath and political persecution of citizens and persons opposed to their whimsical charade and fantasy world. The Opposition has justifiably taken decisive actions in an effort to salvage the sinking ship and secure the future of our nation which has been effectively deflowered by the team of schemers in the fallen Government. It is imperative that David Granger announce the date for National and Regional Elections now, targeting the intent of the Constitution. Contemplation of leaving a legacy of a true leader must inform a sober thinking rationalisation of the negative impacts that the current approach of his cabal will have on the future of the nation. These actions must be taken, given that the Speaker of the National Assembly announced that the NCM was passed, as well as the fact that Chief Justice Roxanne George ruled that the Cabinet automatically resign on the passing of the No-confidence Motion. Mr Granger is acutely aware that it is not business as usual since the eminent Chief Justice neither granted a stay of execution nor a conservatory order which would have preserved the status quo ante. Most worrying is the fact that agents of this APNU/AFC coalition, are behaving like ‘bullies’ as they attempt to stymie the democratic process. True to an invoked cultured behaviour, they are using all the delaying tactics to stay in power illegally. 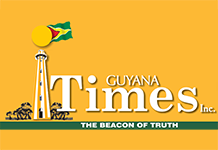 Mr Granger’s silence so far on an election date, fuels a passive and worrisome Guyana Elections Commission (GECOM) susceptibility of manipulation on this critical issue. The announcement of an earliest practical date for elections in the context of the Constitution will surely force GECOM to begin urgent preparations for the elections. The Chief Election Officer needs to stop playing games and prepare a thorough work program which would ensure elections in the shortest possible time. These delaying tactics seem to be deliberate in creating a platform for ensuring that the necessary procurement procedures can be manipulated so as to enhance opportunities for seriously questionable financial transactions. Expediency must not be allowed to replace principles when there is sufficient time. There are serious allegations about corruption at GECOM and the Auditor General must take note since free and fair elections are our priority. David Granger must respect the Constitution and stop talking about business as usual. Presently, there is no Cabinet and spending by the Government is limited by law. All the public servants who are authorising and spending must not allow this callous and ‘power-hungry’ Government to mislead them. Already, it was brought to the attention of this column that the scores of buses that were used to fetch people to the PNC/R public meeting at Vreed-en-Hoop, were allowed to cross the Demerara Harbor Bridge without paying the necessary fees. This is a serious indictment and questions regarding the approval for the tolls to be exempted for all those vehicles will have to be answered. It is clear that Ministries also paid the private buses and again this is a matter of serious concern in regard to the abusive and fraudulent use of taxpayers’ monies.